Choosing the right engagement ring is often a daunting task as all the rings look quite same as you browse through them either online or in a jewellery store. When it comes to choosing the right engagement ring, the first thing that comes to your mind certainly is a diamond ring. Diamonds are the forever love of women, and a diamond engagement ring is the one that will make a girl feel special. However, amongst the many common designs of the rings that are available at the online jewellery store as well as the brick and mortar stores, it might be difficult to find a unique design. If you want to add a streak of love, in order to make the ring packed with personal significance, you need to step out of the box and customize the design of the ring. If you live in Toronto, you will find a number of options to create your customized engagement rings Toronto. However, it is always better to choose a skilled and experienced custom engagement ring designer in Toronto such as Design By Sevan. At times, you will find an online customization option, where you need to choose the right shape, size, cut, carat and clarity of the stone at the very first step. Depending on the shape or style that your loved one prefers, you can choose either a classic cut or an oval, Marquise or pear-shaped diamond. Die-hard romantics often choose the heart shape. Whatever your preference may be or suits your personality, it is a must that you decide, whether you wish to buy a loose stone or a stone in the setting. You will then need to choose the band metal and the design of the ring. A skilled custom engagement ring designer in Toronto would make the ring designing experience even memorable one. He will discuss the ideas with you and come up with a design that will pronounce your idea, style and unique personal preference. Sevan is one such designer, who even gives you the freedom to edit the design so that it becomes the perfectly customized one, unlike the ready-made pick and choose options available online. 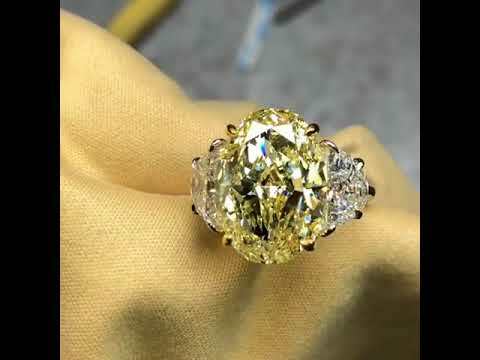 The best part of these customized engagement rings Toronto is that they can be customized for any budget that you are running on. You only need to discuss your budget and the right stone and band; the designer will create a design for you. Problem. I still can’t decide on a model. I have been looking into getting an engagement ring with my girlfriend. I think custom designs are so special because it means something personally. I would be willing to pay extra to get the exact design she is looking for. You only buy this once if you do it right.